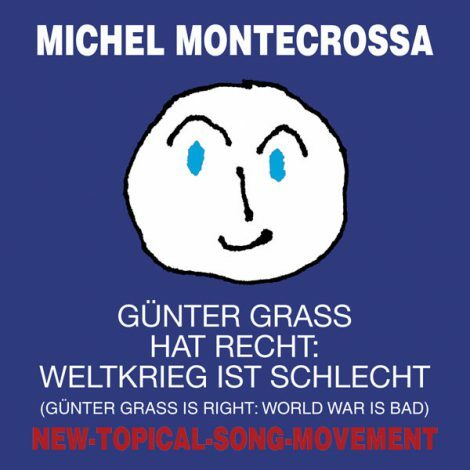 ‘Günter Grass hat recht: Weltkrieg ist schlecht‘, veröffentlicht von Mira Sound Germany als Audio Single und DVD, ist Michel Montecrossa’s New-Topical-Evolver-Song, der durch das kontroverse Günter Grass Gedicht ‘Was gesagt werden muss’ ausgelöst wurde. Es ist kein Song über Politik, sondern darüber, was die Leute sich in diesen Zeiten der Weltkriegsängste, der Desinformation und des groß angelegten Waffenhandels wünschen. Die Menschen wollen Frieden, Geeintsein, Freiheit, Arbeit, Ausbildung und Sicherheit für sich selbst und ihre Kinder. Sie wollen nicht, dass ihr Leben zerstört und ihr Denken manipuliert wird und dass immer mehr grauenvolle Waffen entstehen. “‘GÜNTER GRASS HAT RECHT: WELTKRIEG IST SCHLECHT / GÜNTER GRASS IS RIGHT: WORLD WAR IS BAD ‘ is a New-Topical-Evolver-Song triggered by the controversial Günter Grass poem ‘Was gesagt werden muss / What has to be said’. 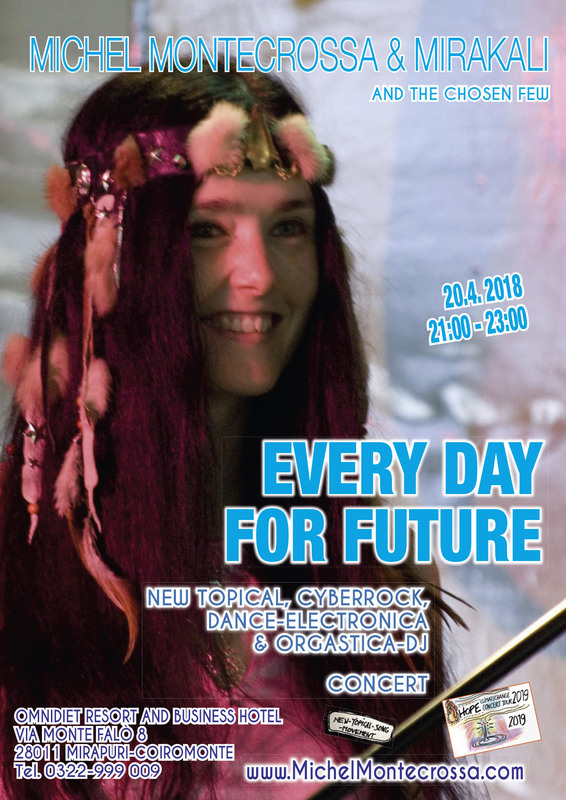 It is not a song about politics but about what the people want in these times of world war fears, disinformation and big trading of weapons: The people want peace, unity, freedom, jobs, education and security for themselves and their children. They don’t want the destruction of their lives, brain messing and always more horrible weapons. Günter Grass hat recht: Weltkrieg ist schlecht. / Man muss darüber reden, wo die Wurzeln sind / von Hass und Missverstehen, / von Blindheit und von Zorn, / von Streit und Gegeneinander. Günter Grass hat recht: Über Fakten soll man sprechen, / frei im Geist und echt, bereit die Wege zu finden / zum Frieden und Verstehen, / zum Fest des Menschlich Seins, / zur Freude am Geeinten Leben. Günter Grass hat recht: Waffenhandel ist gefährlich, / stärkt in der Welt den Krieg und die Bereitschaft zum Töten. / Stärken wir besser in uns / die Bereitschaft gemeinsam zu leben / und gemeinsam Probleme zu lösen. Ich sehe die Leute überall: Sie wollen keine Kriege. / Alt und Jung möchten Frieden und Liebe für die Welt, / Gute Arbeit und nicht Not, / Freiheit und Kontakte, / die uns verbinden und glücklich machen. Günter Grass is right: World War is bad. / We have to speak about the root of all / hate and misunderstanding, / of blindness and of anger, / of conflict and ill will. Günter Grass is right: about facts we have to talk / free in mind and true, ready to find the ways / to peace and understanding, / to celebration of humanity, / to joy of human unity. Günter Grass is right: trading of weapons is a danger / strengthening war in the world and willingness to kill. / Better let us strengthen / the readiness to live together / and to solve our problems together. I see the people everywhere: they don’t want wars. / Old and young want peace and love for all the world, / good work and not poverty / freedom and the contacts / connecting all and making us happy. ‘Besinnung-Reflection’ Michel Montecrossa’s Deutsch-Topical-Song-Movement Audio-CD and Music Videos released by Mira Sound Germany present 11 theme songs about humanity, future and love including the title song ‘Besinnung’ (Reflection) , the heartfelt ‘Kommt wieder Ihr Menschen’ (Come All Ye People), the direct talking eco-song ‘Gift’ (Poison), the hopeful ‘Der Bote’ (The Messenger), the profound ‘Das Buch Des Lebens’ (The Book Of Life) and six more Deutsch-Topical Hit-songs. “‘Besinnung-Reflection’ is a bouquet of songs that lead away from the sadness about catastrophes, suffering and wars into the wideness of the light in our hearts where we can find the strength of peacefulness, the joy that comes through doing the good and the happiness of love.